We had an incredible night of demos, interactive discussions, and networking! Here is a list of the wonderful speakers and demos from last night’s event! Azine Davoudzadeh is a dynamic educator, creator and thought leader. She has been teaching for over a decade and has experience implementing innovative ways of learning. She recently received her Masters in Education, where she researched how Virtual Reality affects middle school girls future career choices as well as learning outcomes in writing. She is looking to find ways to encourage young women to become more interested in VR. Currently, she teaches at Gale Ranch Middle School and offers after school Introductory VR classes to middle and high school students. Azine is looking for VR developers to team up with in order to create classroom ready experiences we can trust! Sheridan is a co-founder of OneReality.se. He is an urban planner, writer, and tech strategist based in San Francisco. One Reality creates VR/AR models of Smart Sustainable Cities and human cells. We launched in the Nordics (Copenhagen, Stockholm, Lund) and are expanding to Bay Area cities this fall. Ksenia is a human-centred designer and futurist with a decade of multidisciplinary experience helping private and public sectors, social enterprises and nonprofits discover and design opportunities for innovation. She began her career in 3D animation, visual effects, and digital asset design working with filmmakers, artists and changemakers to address social and environmental issues. She then transitioned into business model innovation and policy design. She currently leads the Strategic Foresight & Planning Unit within Government of Alberta, and advises health policy decision makers on future of technological advancements and applications (Virtual Reality, Artificial Intelligence, and etc.) in the healthcare sector. Her foray into designing Virtual Reality experiences, utilizes design thinking and participatory futures tools to address critical personal, social and cultural explorations. She holds a Master of Design, Strategic Foresight & Innovation. - Start discussions with entrepreneurs, tech incubators, and professionals interested in learning about design thinking, business model innovation, human-centered design and creative problem solving. She runs workshops on the topic. - Create opportunities with cities, municipalities, and community groups who are interested in exploring VR and other participatory tools for citizen engagement. Troy is the co-owner of a freelance software development company, Gamehearts LLC, that combines a creative user experiences with a strong coding background. Passionate about finding ways to solve problems a completely new method of interfacing with character and environmental development while working with Virtual Reality. His current project is with Stanford Research Center on a Virtual Reality Neurobiology experiment is to help bring what is subjective to the objective level when it comes to phobias. Through the biometric data, we can determine what is a healthy and unhealthy levels of fear. One Reality is a virtual reality (VR) development service and platform for designing Smart Sustainable Communities and Cities under the Paris Accord, based on Sweden’s decades of experience in sustainable infrastructure development. Incorporated in Sweden, we are expanding to Silicon Valley and globally to support cities, utilities, and construction companies that aim to revitalize themselves through leading-edge technologies and deliberative citizen engagement. We specialize in creating easy-to-use, engaging user experiences (UX) so people can visualize, walk/fly through, interact, design and monitor construction and social activities, ranging from entire cities to specific neighborhoods and building exteriors and interiors. We use the Unreal VR Engine, which offers photorealism for high-end PC and projection systems as well as small-file formats for smartphones and tablets. Unreal has open APIs so it can integrate data apps for AI, IoT, sensors, smart grids, and other data analytics into VR/AR environments. In the Nordics, we have built VR models of city downtowns, waterfronts, harbors, transit hubs, residential areas, apartments, public places, office complexes and entire new communities for Copenhagen Malmo Port (CMP), Lund, Stockholm and Visby. Series A for their upcoming corporation to go global. Axum Graphics is developing Auteurist, a 3D content creation tool that is democratizing VR filmmaking, and computer animation. Auteurist runs 100% in the browser, on any device, including mobile devices. Auteurist has a user interface anyone can pick up and use to make an animated movie, even if they’ve never used a 3D content creation tool before. It produces photo-realistic 360-degree stereoscopic movies with the click of a button. This is a completely new approach to creating computer animation. 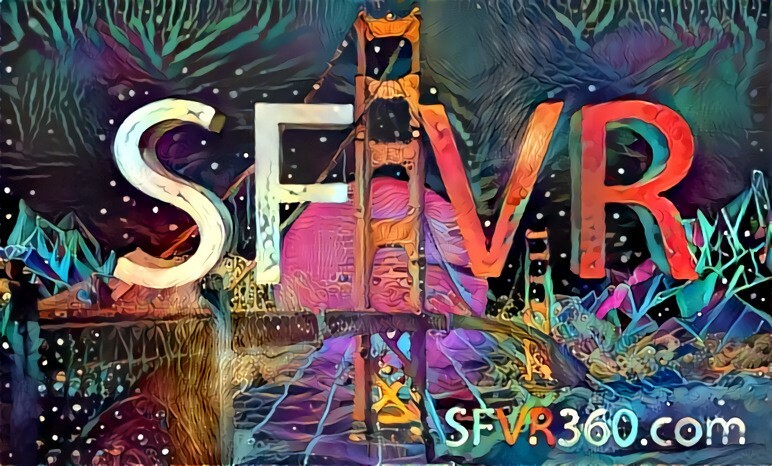 It opens up the VR industry to a whole new class of users, diversifying the industry itself, and the stories being told. Axum Graphics is taking applications for the Auteurist alpha program. Apply at www.axum.graphics to become part of the future of filmmaking. Pimax was founded in mid-2014 by a team of VR geeks and engineers with decades of experience in wearable tech/smart devices, including many years in VR/AR field. We created the world’s first 4K VR headset that was recognized as the best VR product in CES Asia 2016, and our 8K VR headset was unveiled at CES 2017. Pimax has offices in San Jose, California and is headquartered in Shanghai, China. For more information, please visit www.pimaxvr.com. They are an end-to-end development team and work with corporate clients to deliver simulations, aptitude assessments, and training exercises through Virtual Reality and Augmented Reality applications. Traditionally, companies often have an extensive training staff and written materials. They augment or replace this with immersive simulations, which are more effective at training the user on new tasks, and at assessing the aptitude and mentality of the user. Virtual Bytes is an education, research and art collective founded by Matt and Sarah. We aim to showcase how combining VR tech and neuroscience knowledge can influence our lives. We wish to help creators in this new medium by bringing you 2 VR demos a month that hack the mind-body connection. We will be using all sorts of platforms like the HTC Vive, Oculus or web VR, but even if you don’t have the hardware you should be able to learn a thing or two from our videos. For those of you that want to make their own stuff we will be providing source files and some written in depth tutorials. Current virtual reality solutions are divided into two basic types: Either the content is generated and displayed on a standalone headset (usually a smartphone), or a personal computer is used to generate the content which is then displayed on a dedicated headset. Computer generated VR content is of much higher quality as the computer has much greater processing power, compared to that of a smartphone. iVRy is a smartphone app that bridges these two methods of generating content, allowing a smartphone based VR headset to display content generated by a personal computer. This allows the rich VR content available on a personal computer to be experienced without the need for a dedicated VR headset. It also allows independent content developers to test their content without the need to invest in additional equipment. It is not intended to replace dedicated VR headsets, but rather to supplement them, bring personal computer based VR content to a larger audience. Quality Chinese and Herbal Teas served by Immodestea! We share with you the most educational tea subscriptions in existence, packed with higher quality tea than any other monthly subscription. Every tea we personally select and source from their home lands through close friendships we fostered during our multi-year travels in Asia. What we give you is simply a leaf from a tree. All Natural, Single Origin, Loose Leaf Teas. On the rare occasion our leaves have added flavor, it is done with fresh, natural herbs of the same standards.